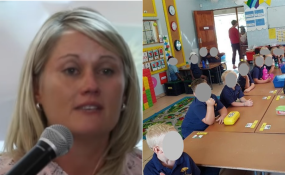 Cape Town — Laerskool Schweizer-Reneke teacher Elana Barkhuizen has won her Labour Court challenge and had her suspension lifted, according to Times Live. North West education MEC Sello Lehari's decision to suspend Barkhuizen was found to be flawed and the court ordered her to return to work on Friday. Barkhuizen welcomed the ruling, eNCA reports, saying: "For every step, for every day for every part of this journey. I don't know how to thank everyone ... Justice was done". Trade union Solidarity spoke on ruling, saying: "We will have discussions with the governing body this afternoon as to when she will be back at work." Barkhuizen's suspension came after the spread of a viral image showing black Grade R pupils being seated separately from their white peers sparked public outrage.